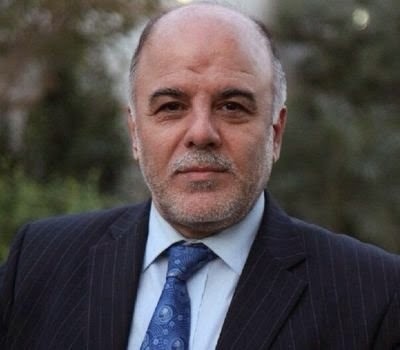 Iraq's new Prime Minister Haidar al-Abadi is set to visit Iran this week to talk, amongst other things, about regional issues such as the threat of the Islamic State (IS) group and ties between Iraq and Iran, which have been quite cordial and warm in recent years. Former Iranian President Mahmoud Ahmadinejad made his last state visit to Iraq last year and was told by former Iraqi Prime Minister Nouri al-Maliki that Iranian companies were welcome to invest in Iraq and help the country rebuild itself after years of turmoil and war. Ahead of his upcoming visit Abadi also plans to broaden economic and business cooperation between the two countries. Obviously a neighbour like Iran has vested interests in seeing a stable Iraq that is able to protect itself against Islamist groups like IS given the fact that Iran itself has had problems with such groups. It also has an interest in seeing its interests and political allies in Iraq promoted and protected as well as the opportunity to invest in and trade with a neighbouring developing country. There is an interesting history regarding the current Iranian regimes past and present attempts to incorporate itself more into the regional order of the Middle East and the Persian Gulf region. Put into historical perspective the Gulf Cooperation Council (GCC) for instance. This economic and military body between the Sunni Arab monarchies of the Persian Gulf was established not long after the Iran-Iraq War was initiated by Saddam Hussein's Iraq. GCC members played a key role in propping up Saddam's regime with billions of dollars as a bulwark against Tehran throughout the 1980's – the leaders of some of these Sunni monarchies, particularly Saudi Arabia, have since sought to contain Iran and in Iraq have been alarmed by the ascension of the Shia majority to political power in the wake of the overthrow of the Saddam regime. As you know Saddam the GCC countries found themselves facing Iraq following its August 1990 annexation of Kuwait. This happened to coincide with a relative thaw in cross-Gulf Tehran-Riyadh relations (another thaw as it happens is taking place as I write which is also worth following). Iran argued on that occasion that the GCC had proven ineffective when it came to defending Kuwait against the invading Iraqis and in turn proposed that Iran become a part of the GCC to make it a more effective cross-Gulf economic and military cooperative union. Of course, as you know, that offer never materialized. The present administration in Washington has been quite open about its view of the GCC in essence being a military counterweight to Iran's regional ambitions. This has seen to that economic bloc become a lucrative marketplace for arms producers to the extent that the present U.S. Secretary of Defense Chuck Hagel has even gone as far as to suggest that the GCC members states should collectively integrate all of their armed forces into one six-member military power to protect themselves from the threat many of them see Iran as posing to them and their broader regional interests. Hagel seemed to imply that this would also be the solution to intra-GCC political divisions. Which of course was an allusion to the fact that Bahrain, Saudi Arabia and the United Arab Emirates had earlier this year threatened to do their utmost to isolate and reprimand Qatar for having policies and interests in the region which clashed with their own. This week Abadi is going to Tehran. The Iraqi leader is going to see a regional partner and likely exchange ideas about how that regional partner can effectively help Iraq overcome the immediate threat posed by IS as well as discuss bilateral business and trade relations. Tehran will doubtlessly seek to once again promote itself as a solution to the regions present woes as it has often done in the past. The overall outcome of this meeting and future relations and coordination between Iran and Iraq will surely be interesting whereby Iran's broader regional influence and stature is concerned.